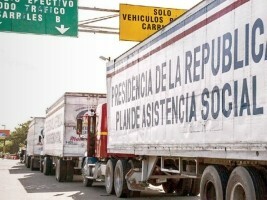 The Dominican Republic is by no means a wealthy country, nor did it enjoy fantastic relations with Haiti such as to justify sending a convoy of 500 trucks with the supposed objective of providing aid in the wake of the latest tragedy to ravage the apparently destined-to-suffer Caribbean people. Although the advertised mission is to provide hurricane aid, the Dominican Republic will effectively promote itself as a wealthy land with "trucks full of free food," thereby exacerbating the migration and environmental crises which threatens to turn the DR into a barren land without forests and rivers. Although only 4 Dominicans died in the immediate aftermath of Hurricane Matthew, cholera, dengue, chikungunya, and perhaps even the Black Death could soon be claiming lives in the borderlands. 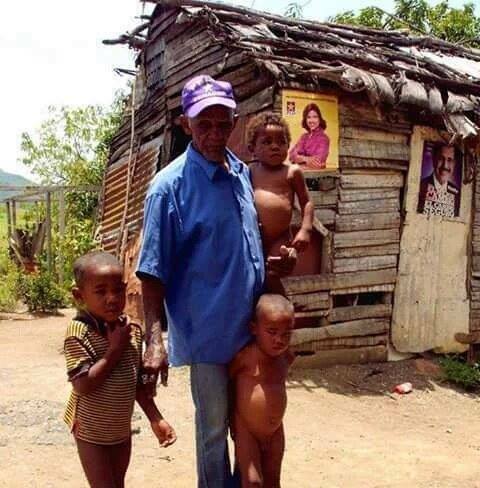 Sadly, the President of the Dominican Republic has neglected the border, where people living in shacks are struggling to rebuild, and living at the complete mercy of another hurricane. The President of the Republic isn't in Haiti providing aid, he's stealing from the Dominican people, since there are children tonight, like him descended from Taino women, that will go to bed hungry, wishing that a convoy of 500 trucks had been sent to their towns instead of being shipped off to foreigners with no Native American blood, people whose government once committed genocide within Dominican territory and whose current elite want to export 200,000 of their poorest citizens abroad with no concern for the demographic consequences in the DR.
As hard as it may be to admit, providing foreign aid to Haiti will not ameliorate the situation, it will only exacerbate the current culture which has so demoralized the people. Instead of creating the environment for Haitian entrepreneurs and businessmen to slowly restart the economy, foreign kitchens and free food will kill the profits of small farmers and stifle the creation of new enterprises, perpetuating the cycle of dependence on foreigners. The president's actions have, in the short term, led to Dominican people going without much-needed state resources; in the long term, the co-existence of two countries on the island of Hispaniola may be compromised.